Days after Priyanka Gandhi Vadra’s formal entry into politics, BJP general secretary Kailash Vijayvargiya took a dig at the Congress party and criticised them for using “chocolaty faces” to fight the upcoming Lok Sabha elections. Mr Vijayvargiya held a press conference in Indore where he was asked about reports of Bollywood stars Salman Khan and Kareena Kapoor Khan being named by Congress for contesting from Indore and Bhopal constituencies. “This shows the dearth of self-confidence in them. They don’t have any leader, that’s why they want to contest the upcoming elections while banking on chocolaty faces. Somebody takes Kareena Kapoor’s name while others ask for Salman Khan. Now they have brought in Priyanka Gandhi (Isse unke aatmavishwas ki kami jhalakti h. Unke paas leader nahi hain, isliye wo chocolatey chehre ke madhyam se chunav mein jaana chahte hain. Ye unke andar ke atmavishwas ki kami ko darshata hai… Koi Kareena Kapoor ka naam chalata hai, koi Salman Khan ka, kabhi Priyanka Gandhi ko le aate hain),” Mr Vijayvargiya said. “They don’t have confidence on Rahul Gandhi’s guidance,” he added. 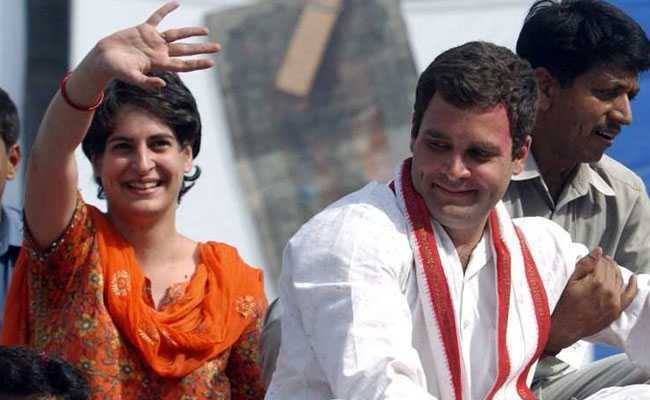 Priyanka Gandhi Vadra, earlier this week was made the general secretary of the Congress and in-charge of the party affairs for the eastern Uttar Pradesh for the Lok Sabha elections.